We are a group of electric vehicle enthusiasts. 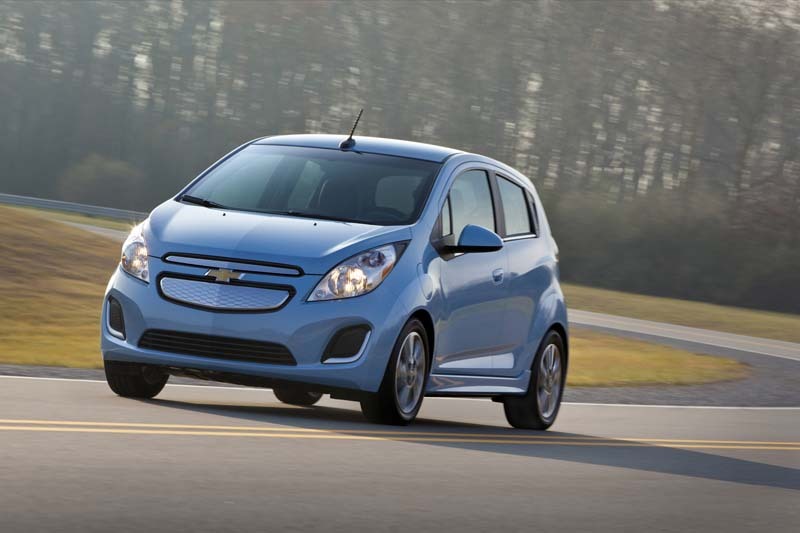 We love learning about electric vehicles and we are excited about the up and coming Chevy Spark EV. Initially set to release in Oregon and California in 2013, Chevy says the Spark EV will be available nation wide and in South Korea later in the year. Take a moment to browse the Spark EV articles and then head over to the forum to join the discussion! The Chevy Spark EV Forum is run by the MyElectricCarForums.com group. Chevys Spark EV is a sporty four-door mini with a usable back seat and cool connectivity capabilities, and the EV version replaces its 1.25-liter gas four-banger with the 100-kW (130-hp) GM electric motor and a 20+ kWh lithium ion battery. “We knew we had to provide surprising fun-to-drive acceleration with maximum efficiency,” said chief engineer Chuck Russell. I purchased the Spark EV Sept 1, 2016. For first month or two I could charge at half-battery range and get a “max” 81 or 82 mile range. However, for the last 3 or 4 weeks my car will never charge over 71 or 73 at most mile range. I always (except on freeway) drive in “L” as instructed by my salesperson and re-gen brake. I am very concerned about this loss in max mile range after this very short period of time and more concerned about how low will it go in the future.